Holding on to Just In Case items definitely runs in my family, in fact my Nan refers to them as her ‘Justins’. They’re the items that we never really use, but we keep them because, well, one day we might just need them. 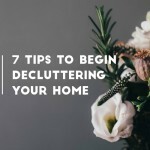 There’s lots of reasons we hold on to these items, and it will differ from item to item, so getting the bottom to that will help us let go of them. Sometimes we hold on to them because we think they might become useful, or because we spent money on them in the first place. Or maybe we’re hoping they’ll one day fit, or in case we decide to take back up a hobby or a sport. Whilst these might all be legitimate thoughts, most of the time the result is just a pile of things we never use, stuffed in cupboards, drawers and garages. 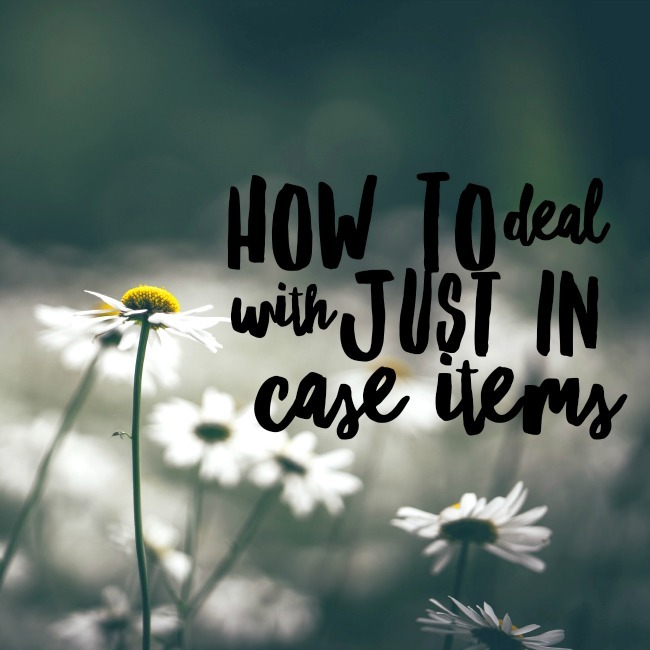 Here’s a few ways to deal with the Just In Case items in your life! An excellent way to ease yourself into getting rid of some of these just in case items is to pop them in a box, which is put out of sight for a month or two. Set a reminder in your calendar and if by the time that dates rolls around you haven’t needed to open the box, then take it straight to a charity store. I find this a really useful interim step that takes away the stress of maybe accidentally getting rid of an item that you did actually need. I learned this rule from the Minimalists, and it’s an excellent one. If the item you are umming & ahhing over can be replaced in less than 20 minutes and for under $20, then get rid of it. That way you’re not getting rid of anything that may prove to be tricky or expensive to replace if it turns out you do need it. 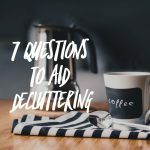 The vast majority of the time you’ll find you don’t miss any of the items you get rid of, but even if you do, they can be replaced quickly and for relatively little cash. If you really can’t bare to get rid of some things, set yourself some limits. It could be a certain quantity of item, an amount of space it can take up, or a time frame that it needs to be used by. Whatever the limit it, be firm, write it down, tell someone else and do everything you can to stick to it! So often we hold on to things because we forked out our hard earned cash to buy them in the first place. The problem is the money is gone regardless of whether we use the item, so holding on to it isn’t going to magically make it a better use of our cash if in fact we don’t need it. A better option is to try and sell anything you can (online, swap sales, markets, there’s so many ways!) to make back at least some of the money, then donate the rest. I find this also helps me think twice before buying a similar item in the future, which in the long run is probably saving me money. Either way, it’s definitely saving me space! I hope these ideas for dealing with just in case items were helpful, I’d love to hear your thoughts too! 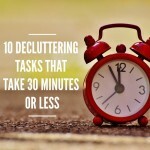 I love these ideas particularly the 20/20 rule. Thanks for sharing. I too have been a just in case person but moving house a few years ago after selling along with retiring meant I had to be quite strict. It was always the case when I was teaching that I kept items for craft etc but no longer. It takes time to learn new habits! Denyse Whelan recently posted…Creative Art & Listening. 2017.83. Thank you for posting the article. I did things that made my life hard for a few years, you are right about a pile to donate but then do not finish it and leave it. I did that in my bedroom to collect dust in a box. I was stuck with things from the family before that and this resulted in terrible friction and I was the meat in the sandwich. Today I got out a dusty box of papers and went through them. I feel better. I confess I redecorated my room, painted it for weeks and am still not finished. Moving stuff. Told myself paint won’t stick to dust. For years I put off painting walls of dark jade that looked black at night, with a dark depressing wallpaper border under it. A large room. I get no help at all and it has been hard at 66. But it is so much nicer now. Move all the things toward the door and the sunroom part of it has one rug one big antique masterpiece painting and a full length mirror opposite that. I will hang tall curtains in that room.